Are We There Yet?? : Greetings from Cape Cod! Wonder of wonders we actually managed to leave Norwich on time yesterday and with only one slightly wrong turn in Providence after being cut off by a guy in a pick-up truck who was paying more attention to his cell phone than his merging abilities, we made it out to Cape Cod shortly after 12:00. Before heading out to the mid-Cape and Hyannis where our hotel is, I took a detour down Route 28 South in the direction of Falmouth and a lighthouse that I had been wanting to take a picture of. 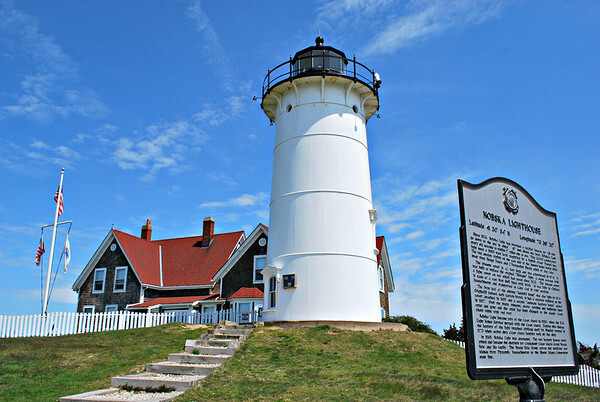 Looking very much like your quintessential New England lighthouse, the current Nobska Light has been a beacon to sailors since 1876 when it replaced the original "Nobsque Light", a stone cottage with a light tower on top that had stood in the same place since 1828. After getting probably more pictures of the lighthouse than I really needed (though really, can there be too many lighthouse pictures? I think not!) 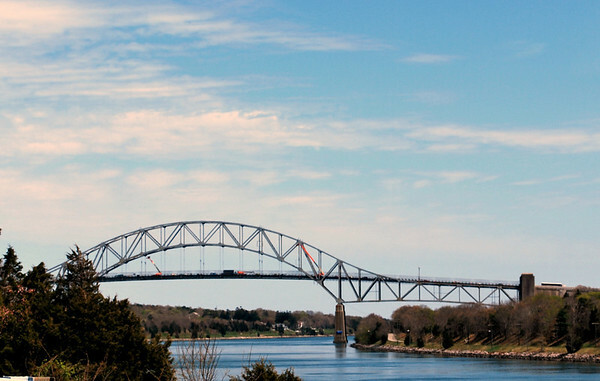 we continued our journey to Hyannis passing by the Cape Cod Canal and eventually over the Sagamore Bridge. 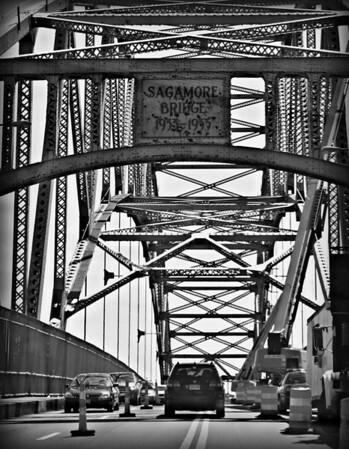 As you can see from the picture that Amanda took from the passenger seat, they were doing some construction on the bridge but traffic wasn't too bad. 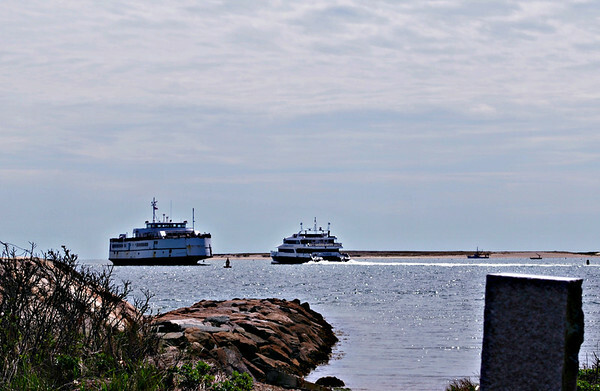 Once we got into Hyannis, I spent a little time driving around trying to find the lighthouse that sits at the entrance to Hyannis Harbor but as it's on private property it appeared to be nowhere to be found so instead Amanda shot a picture of several ferries passing each other going in and out of the harbor. From there we set the GPS in the direction of our hotel which just happened to be across the street from an IHOP so guess where we went for lunch? 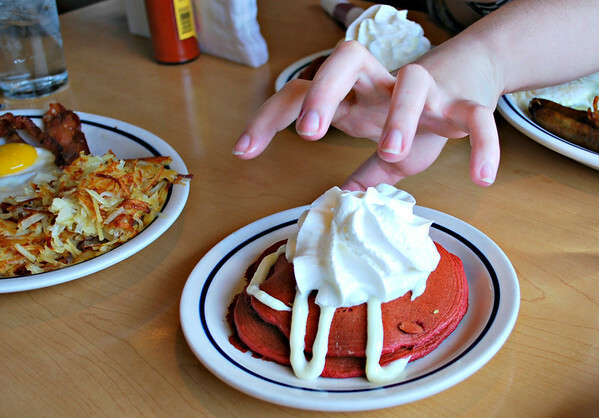 Amanda thought the Red Velvet pancakes were so good, she tried to steal Jamie's in addition to having her own! The Days Inn that we're staying at is nice though certainly no Hawthorne Hotel but a couple things it has going for it is that it's located right next to the Cape Cod Mall and a really nice Barnes & Noble plus it has an indoor pool that the girls took advantage of while I did some picture editing from a lounge chair nearby. 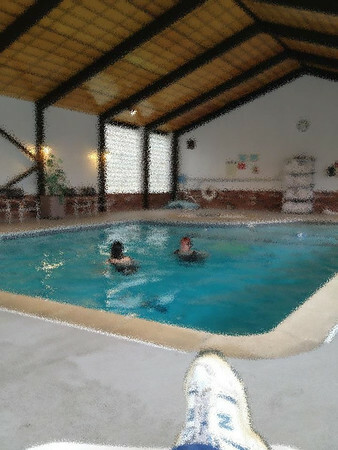 As Amanda would probably throw a fit if I posted a picture of her in a swimming pool (whether you can see her or not! ), I've purposely blurred this shot a bit. Hopefully that meets with her approval! Oh, and just as a side note - the girls had a good time and didn't even try to drown each other once! 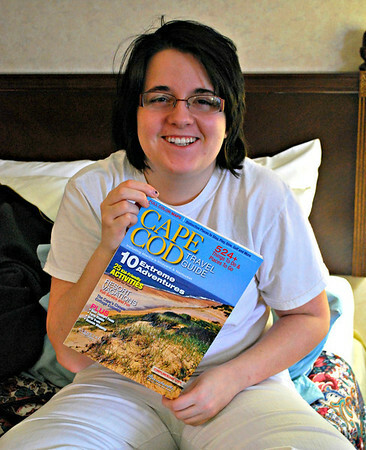 Today we're heading out to Provincetown and I've got a list of places to see based partially on the magazine that we picked up in the hotel lobby that Jamie is holding, partially on some research I did prior to us heading out this way, and partially on memories of the one and only time I've been out to the furthest most part of the Cape. Even though it's a bit cloudy out and definitely somewhat breezy, it looks like the overnight rain has stopped so I'm hoping for a good day to do some wandering. I'll let you know how that works out; in the meantime though there's a free breakfast to be had at the hotel before we set out for the day! Mmmmm ... coffee and juice and stuff! Another lovely adventure. I love tagging along. Love the lighting and coloring in the first shot. It looks like an old-timey postcard! And so glad to hear the girls are not being The Bickersons on this trip! YAY! You always go to such interesting places Linda and of course the photos are fab! Have fun today! Hope you find that lighthouse. What a great weekend! So jealous! Beaches are my favorite :) Enjoy, girls! Now see what you made me do? I'll have to take Pam out for panCAKEs tomorrow for breakfast. We have an iHOP right down the street, although we usually don't make it that far because the Denny's is two blocks closer. What??? Pictures of Hyannis and bridges and not one tasteless Ted Kennedy joke? I am soooo disappointed. Cape Cod looks a lot like Block Island. Except for the part where it's accessible by road. 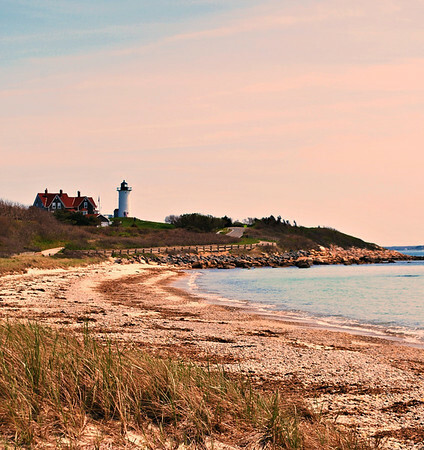 Cape Cod looks just as good as it is supposed to be. Lighthouses ... I Love 'Em and I Found 'Em! The Weekend in Review - Kinda, Sorta!